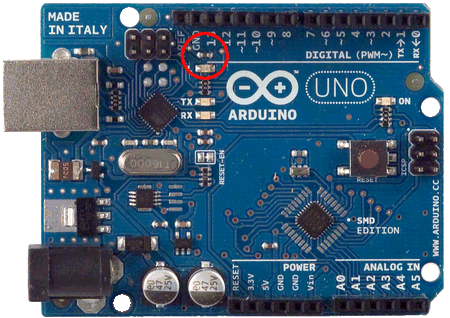 Some Arduino boards have an LED on pin 13 that does not have a pull-down resistor. As a result, if it is left floating, it can vary in brightness from dim to bright - you can affect the brightness just by touching the PCB. Although this is not a problem, you can put two lines of code in your setup() function to switch it off.